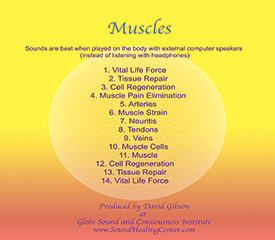 – Charged with sound and light frequencies. – New cleaner etched design. – Larger, more brilliant stones. 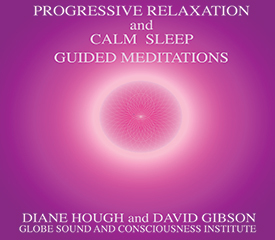 – Charged sound & light frequencies. 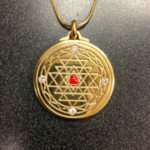 – Six crystals along six point edge of design with gemstone center. – Copywritten with Artist’s Permission. The masterful design of this form enchants and appeals to a higher sense of dimension and aesthetics. 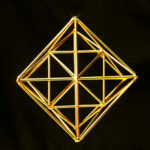 This dazzling geometric figure is perfect for meditation and much more. 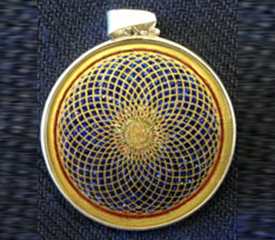 You can create your own healing alchemy. 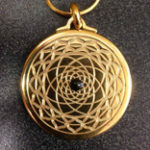 The 3D Star opens the crown chakra and then radiates into the body the energy of whatever you might place inside the 3D Star—crystals, flower essences, herbs, oils, etc. A profound experience that can be physically felt. 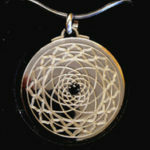 This spiral is derived via the golden rectangle, a unique rectangle which has the golden ratio. This form is found everywhere in nature: the Nautilus Shell, the face of a Sunflower, your fingerprints, our DNA, and the shape of the Milky Way. 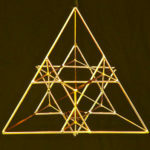 The MerKaBa, which can be viewed as a three dimensional Star of David. 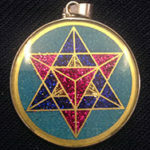 Also spelled MerKaBah, it is the divine light vehicle allegedly used by ascended masters to connect with and reach those in tune with the higher realms. “Mer” means Light. “Ka” means Spirit. “Ba” means Body. Mer-Ka-Ba means the spirit/body surrounded by counter-rotating fields of light, (wheels within wheels), spirals of energy as in DNA, which transports spirit/body from one dimension to another. 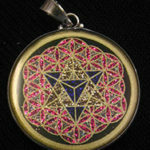 This joining of the MerKaBa and the Flower of Life further empowers unity consciousness. 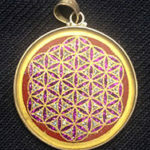 Joining the MerKaBa and the Flower of Life further empowers unity consciousness. 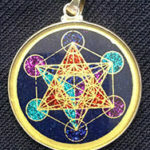 The Metatron’s Cube is a powerful form for manifestation and personal integration. 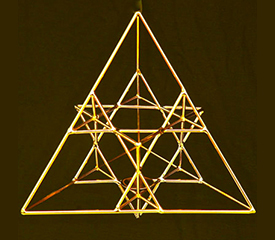 The Metatron’s Cube contains three octahedrons – one inside the other, spaced at a Phi Ratio. Each one is twice the size as the one nested within it. 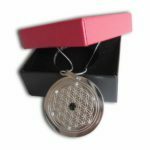 This creates three distinct energy flows in one form to promote spiritual integration, deep emotional healing, mental clarity, and physical manifestation. 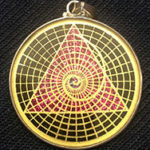 The number three links people into the infinite progression of dimensional reality. 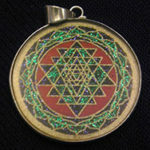 Mythically speaking, Metatron was originally human, elevated to archangel by God for his services as scribe. 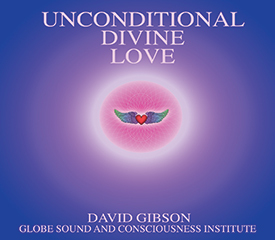 He was considered to be the foremost communicator between humans and the divine. 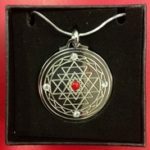 Meditron is best known for his ‘cube’ which is derived from the Fruit of Life, which are thirteen circles concealed in the ancient Flower of Life found inscribed on the walls of the Osirion temple at Abydos, Egypt and throughout many ancient cultures. 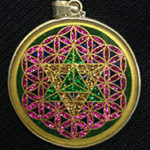 The centers of each of these thirteen circles are then all connected to each other to form Meditron’s Cube and it is from this pattern that all of the “Platonic Solids” can be formed which are the building blocks of all life.